A family has been left heartbroken after a vicious PIT BULL came out of nowhere and “massacred” their dog with its teeth. Mary Gallagher was walking Maxwell, a Yorkshire terrier, in Sydney Road, Muswell Hill, on Sunday when the aggressive mutt lunged towards him. The 11-year-old dog died instantly but the pitbull refused to let go as he chewed through little Maxwell’s body. “There was blood everywhere, all down the road, it was like a massacre. He had a firm grip on Maxwell’s stomach and wouldn’t let go. He then took Maxwell’s head into his mouth and began swinging it around. A man came out with a plank of wood and began whacking the pit bull round the head but he didn’t stop. He was so violent. I was in hysterics, screaming, shouting, looking for someone to help me. I tried kicking the dog but he kept resisting and I fell into the bushes. When the mutt finally let go of Maxwell, his owner appeared and cautioned Ms Gallagher to stay away because of its history of violence. 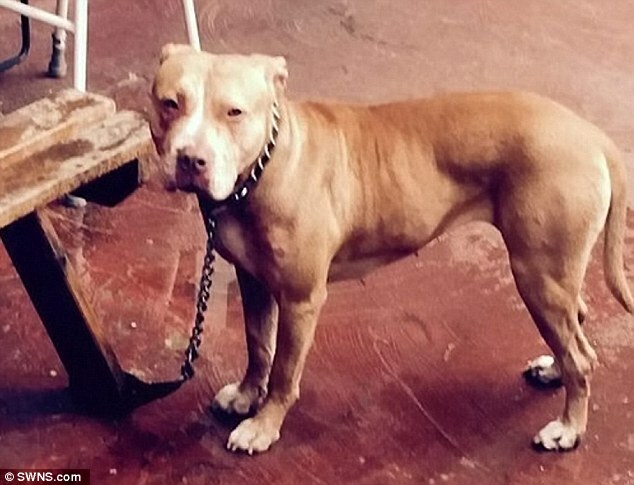 When the police arrived, it emerged THE PIT BULL WAS SUPPOSED TO BE MUZZLED AND KEPT ON A LEAD WHEN HE IS OUT IN PUBLIC. Detectives seized the dog and it will likely be put down. 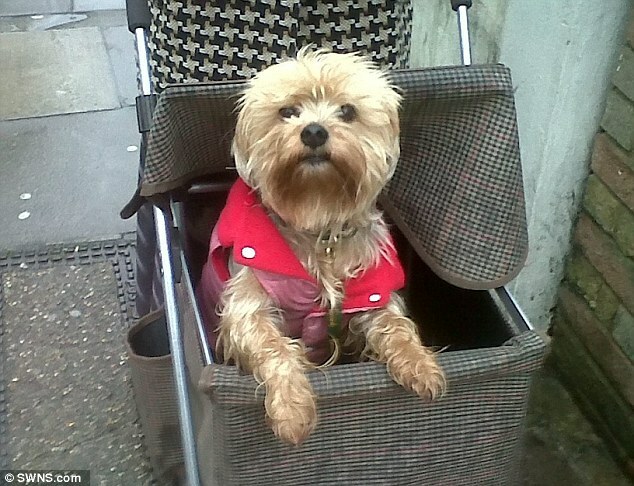 The little yorkie, Maxwell, belonged to Ms Gallgaher’s daughter, Laura, who lives in Colney Hatch Lane, Muswell Hill. The pair have been unable to sleep or eat and are constantly faced with haunting flashbacks about the attack. Moments after it happened, Laura, 21, a dental nurse who works in North Finchley ran outside in her pyjamas after hearing something had happened to her dog. She said: “I screamed and a woman pointed to where my dog was but everyone was holding me back saying don’t look. A guy put a sheet over him. “I broke free from their grip and screamed – and ran over to my dog. I saw he was dead, his guts were hanging out and his tongue was out, his eyes were open. “I collapsed to the floor. The dog still had blood dripping from his mouth and it made me angry. I began punching the wall and fence, screaming. "ANOTHER DOG WALKED PAST THE PIT BULL WITH ITS OWNER AND IT BEGAN GRUNTING, IT LOOKED LIKE IT WAS READY TO KILL AGAIN." Laura had formed a special bond with her pet when she got him as a present at the age of ten. She added: “He was lovely and friendly, always played with other dogs and was very gentle. He loved playing with his toys. “He would never leave our side. Even when we went to the park and let him off his leash, he’d always stay close to us. In a statement, police said: “We were called to Sydney Road to reports of a dog fight. 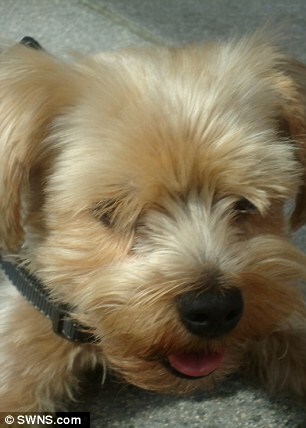 On arrival officers found a Yorkshire terrier dog that had allegedly been attacked by another dog. The Yorkshire terrier was dead when police arrived. Pit bulls need to be banned. Obviously it is not just nutter owners who are to blame here.ppl who alledgedly are supposed to be looking out for the publics good are to blame too . the owners are to blame, if your going to bring up a dog like that is going to behave that way, people think its cool to have a dog like that. Making the dog aggressive isn't going to protective you, it's not a loving pet at all. People are VERY insecure to get a dog to fight their battles! walking your dog without a muzzle or lead to absolutely ridiculous when you have a pitbull, which you know deep down can turn! i feel really sorry for the family this has happened too.